With this set of patterns, you can learn how to crochet a variety of different types of edgings - from vintage to contemporary, in a wide range of techniques and styles. Shell stitch is a terrific choice for crochet edging. There are many different ways to crochet shell stitch and all of them will work well for the border of a blanket, a pillow case, or really just about any item at all. This is a very simple, straightforward classic version of the shell stitch used as an edging. This simple, but interesting, edging pattern evokes powerful images of world travel and architecture, among other things. It is not only beautiful but is also interesting to crochet. It is easy but unique. This edging features lacy v stitches and crochet picots. The pattern includes instructions for turning corners, which makes it handy for finishing blankets and other projects that are rectangular or square shaped. This is a wide crochet border that can be adapted to narrower widths. This edging utilizes half double crochet stitches along with shell stitch. The pattern includes corner instructions, which makes it appropriate for use on baby blankets, afghans, throws, pillows, linens, placemats, potholders, dishcloths and any other rectangular or square project you can think of. You can also use it without the corner for edging sheets, pillowcases, towels or other items that need a simple finish. It is another example of a good use of shell stitch for borders. This edging pattern is ​one of the simplest designs since it is just single crochet stitch. It's so easy that many of you won't need a pattern at all. Despite the simplicity of this edging, or perhaps because of the simplicity, this is a pattern that can be used over and over. It works especially well for blankets (and other items) that are super colorful, very textured or otherwise "busy" because it is a simple, polished finish for the piece. This is a free crochet placemat pattern for a simple placemat made with half double crochet. It can be finished with a simple single crochet border, but it can also be completed with this unique scalloped crochet border, for which you'll find the instructions in the placemat instructions. The same border can be added around other projects from dishcloths to blankets. This edging uses a combination of short v-stitches and wide puff stitches for a very original design. This is a decorative crochet border that creates a dramatic ruffled edge. The design is created using treble crochet stitches separated by single crochet stitches. The design is worked in two rounds (or rows), each in a different color. 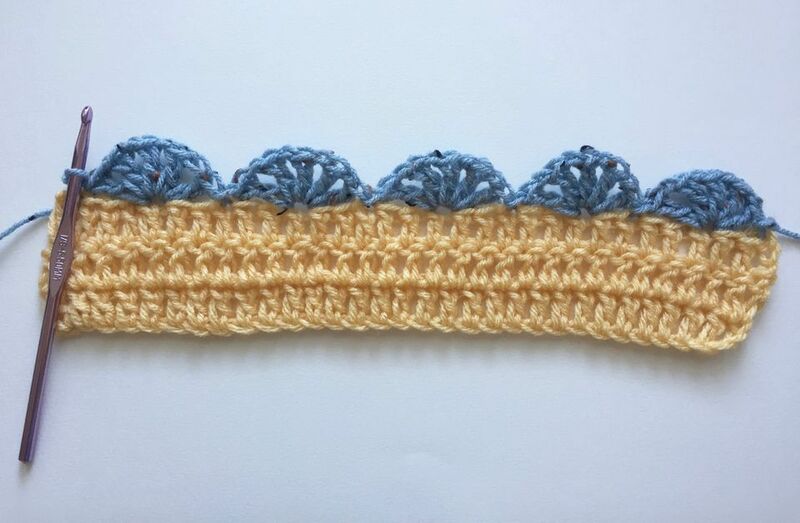 This edging works perfectly with a cotton dishcloth design but is suitable for any square or rectangular project where you want a wide border. This border is worked in six rounds, using primarily single crochet and chain stitches but also incorporating v-stitches and picots. Some crochet stitches are ideal for using to make edgings. The spike stitch is one example. Spike stitches make interesting edgings, especially when combined with ordinary single crochet stitches. A nice combination for a crochet border is to work three single crochet then a spike stitch, repeating across the row. 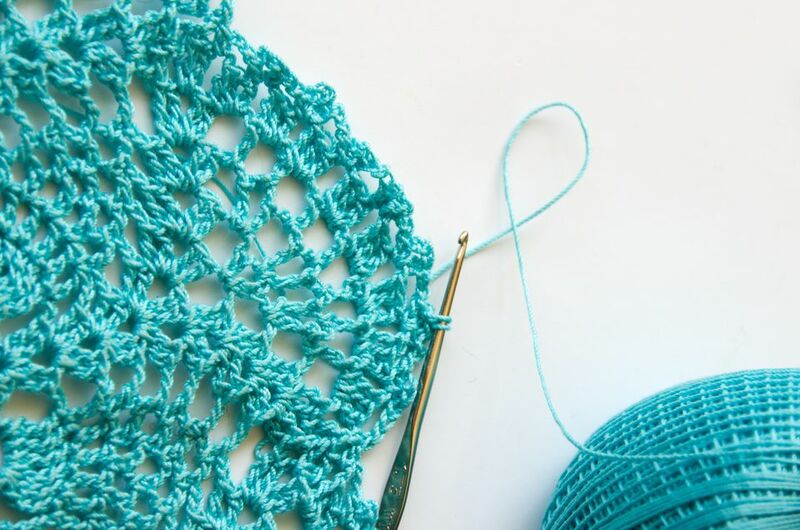 The crab stitch is perfect for crocheting edgings. This stitch makes a fantastic edging for baby blankets, afghans, and other projects. The stitch has a unique twisted curvature to it that you don't usually see in crochet. Star stitch is another really pretty stitch pattern that works well as an edging. You will need to work several rows of it to get the design right. This is best for items that only need a single finished edge, such as a skirt hem.